This car runs on ‘empty’ in more ways than one. 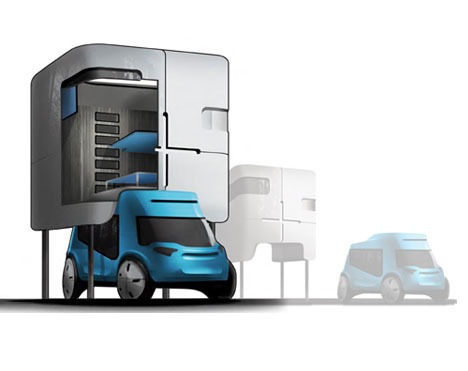 It charges up on solar and wind energy when docked at home while also doubling as an extra room, creating rather than displacing space as a typical vehicle would do sitting idle inside a garage. 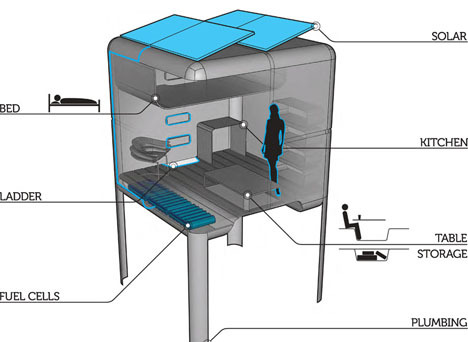 Above, bare minimum necessities are mostly addressed through a little lofted bedroom and main kitchen space (though a bathroom is curiously absent). 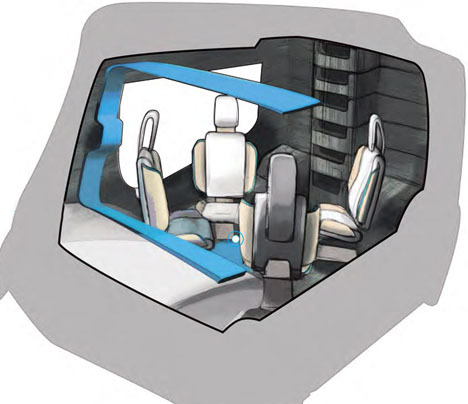 Below, the chairs of the car portion turn to face inward, making for a cozy little dining or living room zone. 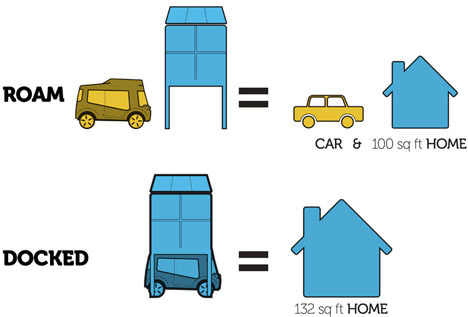 To be fair, the idea is still as crude as oil fresh from the Earth, but it has potential and is certainly a creative and counter-intuitive way of thinking about the intersection of transportation and habitation. 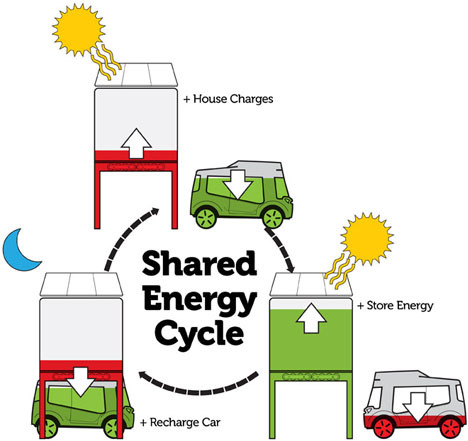 In theory, this goes far beyond an all-in-one transit-plus-housing design – like the fast-growing city bike movements around the United States, this plug-and-play, dock-style approach could be applied in all kinds of communal ways. In practice, though, this hybrid has a long way to drive before hitting home in real life.